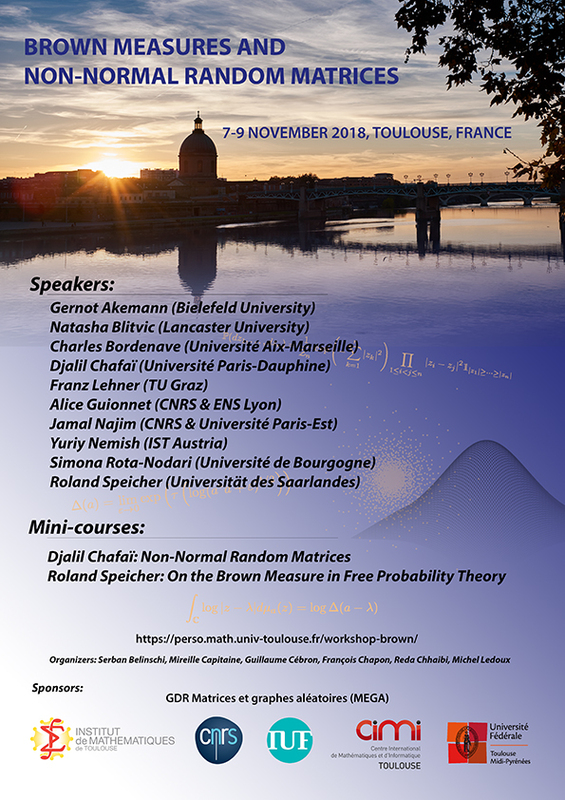 This three-day workshop is coorganised by the GDR MEGA, and the Mathematics Institute at Toulouse. The workshop is aimed at bringing together young and confirmed researchers working in operator algebras and in random matrix theory with a focus on complex spectra. This includes, of course, aspects of 2D Coulomb gases. Two minicourses of four hours each will be given by Djalil Chafai and Roland Speicher. Funding is available upon request. In particular, members of the GDR MEGA can be covered (to some extent) by the GDR. In any case, participants who wish to apply for funding are invited to contact the organizers. In order to participate to the conference, please fill the Application Form. Applications are officially closed now. Late applicants will be put on the waiting list. The above link remains open for participants who have not provided all their informations. Organizers: Serban Belinschi, Mireille Capitaine, Guillaume Cébron, François Chapon, Reda Chhaibi, Michel Ledoux. Contact. In the menu bar, you can access the abstracts and a detailed timetable. 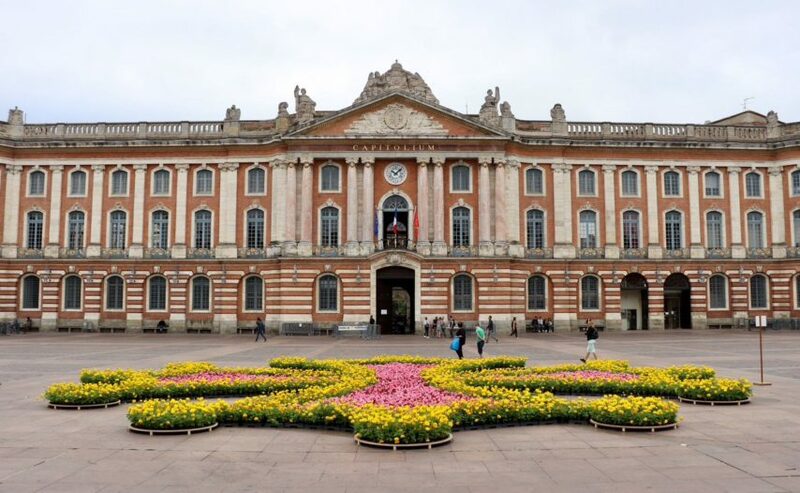 The workshop is held at the Institut de Mathématiques de Toulouse. Closest train station is « Toulouse Matabiau ». Closest airport is « Blagnac ». In order to reach the institute, take the metro line B to the station « Paul Sabatier ». See the following Google Maps pin.